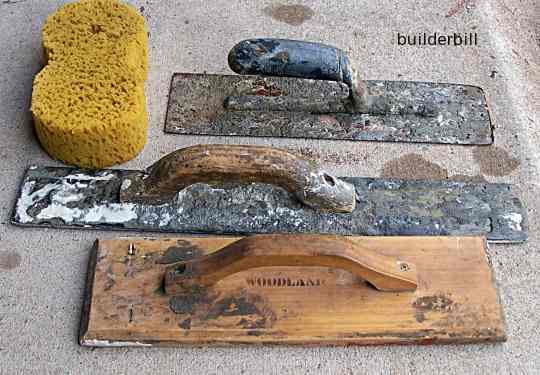 Hand tools for finishing concrete. The consist of a shaped base and a handle. They are made with different materials for different finishes. Steel, magnesium,wood,plastic and sponge etc. 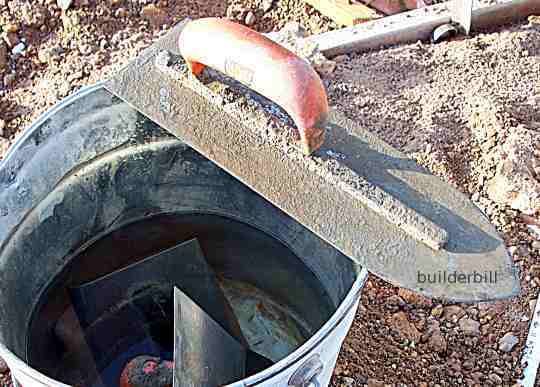 The name float refers to a finishing tool that cement works and plasters use. 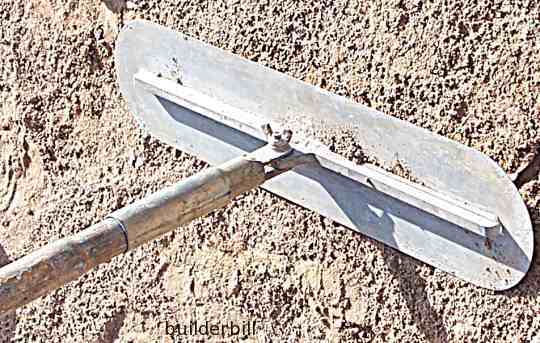 it is sometimes called a trowel, but that is a different tool altogether. The steel float gives a hard smooth finish. The magnesium alloy float is an intermediate finishing tool that brings up the fat to the surface and if left at that it give a sandy semi non slip surface. The wood float does the same but costs a lot less but they do warp and twist. 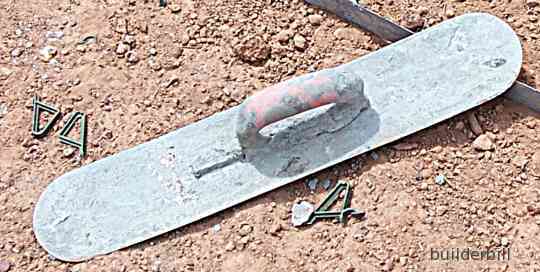 A steel float that has very useful feature of a pointed end. A steel float again, this time with a handle. This particular float is a steel one used by a free form swimming pool builder. The rounded corners and it's flexibility make it useful when working on curved surfaces.